This issue covers the infrastructures in my life from Army discharge to â€œnowâ€�. Since you are reading about it, apparently I made it. After discharge from the Army, I returned to find that my parents had sold their house in preparation for retirement. They had an apartment over the bank in Perry, MI with the bank roof for a backyard (above, left). They graciously allowed me to make their place my headquarters while I returned to the Michigan State Highway Department (MSHD) and traveled around MI some more. 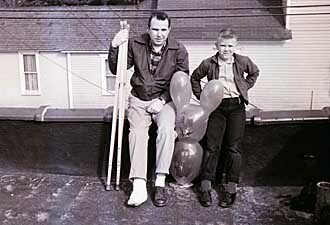 Picture is Pono with son Kim after the accident described here. 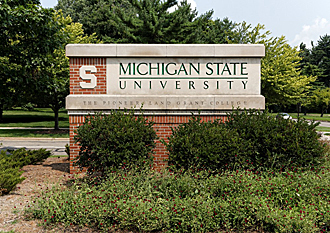 When I had accumulated what I thought was enough money, I returned to Michigan State University (MSU) (above, right) and finished my bachelorâ€™s degree. During the schooling, I worked part time at Watkins Publishing Co. in Perry and with their help I succeeded. I celebrated my success with summer in Europe (see here). An Army buddy was working in Saudi Arabia and had summers off. We arranged to meet in London and make the tour. When I returned I went back to Watkins to make ends meet (see here). I paid off what I owed my buddy for bailing me out financially in Spain, while fishing for employment. I finally accepted a job with Kimberly Clark in Kimberly, WI. The job didnâ€™t work out. I spent a couple weeks with my brother on his pig farm near Battle Creek, MI. The experience (see here) convinced me that breeding pigs might not be my forte. It also convinced me that a different climate might be more suitable. With everything I owned packed in my car, I drove until I saw sunshine and palm trees! I mooched on friends from Perry who had preceded me to CA, and within a couple of months, I got an offer from System Development Corporation (SDC) in Santa Monica, CA. They trained me to be a computer programmer and kept me around for some eight years with lots of events. 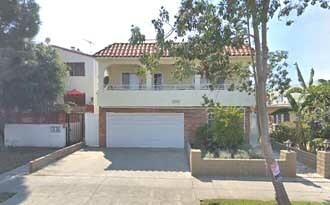 This West Los Angeles, CA apartment over four garages I occupied for four years (above, left). After Clae and I married, we took a Santa Monica, CA apartment (back of building above, right). Opportunity knocked at SDC and I accepted an offer to transfer to Bangkok, Thailand. 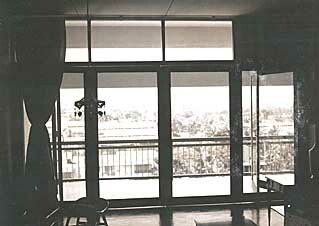 We occupied a 3 bed, 2 bath apartment on the sixth floor of a suburban building near Chulalongkorn University in Bangkok, where we had offices. The pics above are just representative of the unit, showing the folding doors from one end of the living/dining area to the patio (above, left) and some of the local furniture we bought to supplement the things we shipped over (above, right). Our son JR was born at the Seventh Day Adventist Mission Hospital in Bangkok (details, here and here). More details of the Bangkok experience are here, here and here. Transit to and from Bangkok was by air of course, but very time consuming. When JR was about a year old we had a home leave. The door to door trip from our Bangkok apartment to our destination in CA took 24 hours! The return trip from Bangkok at the end of the assignment included stops in Singapore, Bali, Sydney, and Tahiti and took much longer. Upon return from Bangkok in 1971, there was a longshoreman strike and our goods slept with the fishes on a ship offshore. From July through September we lived with JR here (above) in a â€œluxurious guest suiteâ€�. It actually played to our advantage, since we had time to find a place to live before the stuff arrived. 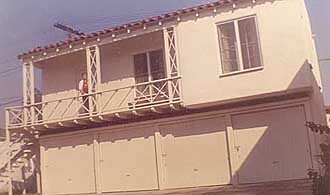 In 1971 we bought this house in Tarzana, CA while waiting for our shipment from Bangkok to be delivered. We moved in with the few emergency things we had cleverly sent ahead from Bangkok. I remember JR reveling in the freedom of a big, empty house after weeks of the motel room! SDC had nothing suitable to offer when we returned and since we had a bit of cash, we elected to spend a bit of time and money tuning up the new house (admittedly a fixer-upper). I renewed my acquaintance with my old poker club and with their help, surprisingly; I had three interviews resulting in three employment offers. I accepted the offer from Abacus Programming Corporation (APC). In a personal record for stability, I spent nearly twenty years with the same house, the same wife, and the same employer! 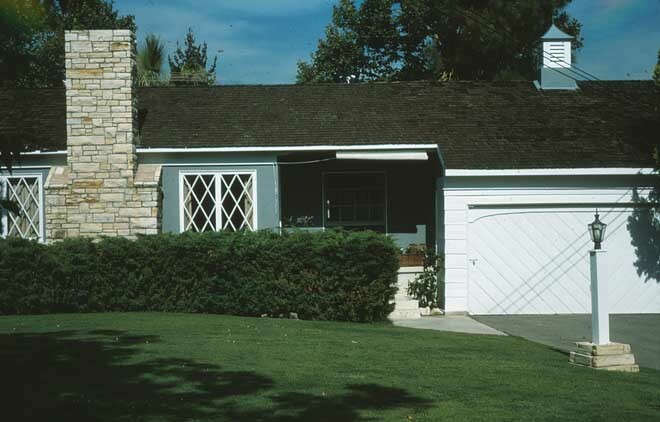 On January 17, 1994 the Northridge Earthquake nearly destroyed our Tarzana house (see here). In 1994 Clae and I separated. 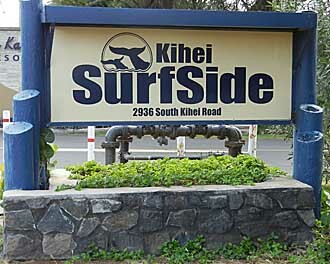 In 1996 RI sent me on a temporary assignment to Maui. I stayed in a furnished unit at the Surfside (above, left) for the first month while looking for something cheaper and longer term. Next I stayed in a furnished unit at Ekolu (above, right) for about four months. Toward the end of that lease, my assignment became permanent and I needed to close the apartment I had in CA and move all my junk to an unfurnished place. 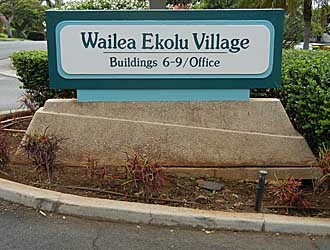 I found a one bedroom/two bath unfurnished condo on the second floor overlooking Wailea Blue golf course with an ocean view that was just right for me. 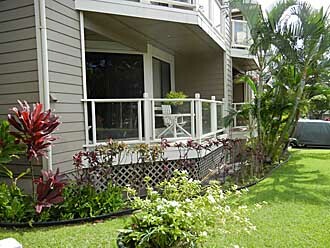 The condo was at Grand Champions Villas (GCV). In CA, movers packed all of my junk from the apartment into a shipping container, built a wall/brace, drove my car in behind the wall, and hauled it all away. I turned in my apartment key, took the airport shuttle to LAX, caught a flight to Maui and waved farewell to CA. The next eight years were eventful. I will summarize. Boeing bought the section of RI that employed me. Clae and I divorced in 1997. I retired from Boeing in 1998 and elected to stay in Maui. On Thanksgiving Day in 2004, I gave up and called 911 after several days of sickness. 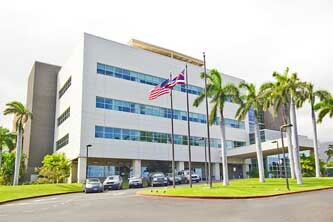 I was taken to Maui Memorial Hospital (above, left) where I underwent surgery to remove a colon cancer. Details of that and the six months of chemotherapy following can be reviewed here and following. Note that the series consists of four Ponograms and two of them give you the option to view some actual photos. When I was recovering from chemotherapy, the owner of my condo decided to terminate my lease and sell. I got a tip from a good friend who knew of another unit at GCV with the same floor plan but on the first floor that just became available. I had to give up the golf course and ocean views, but the first floor worked just fine for my condition. Iâ€™ve been here since 2005 (above, right). So Iâ€™m in another significant stable period, but sans wife and employer. There, I managed to compress a lifetime into two Ponograms. I hope you didnâ€™t acquire carpal tunnel syndrome clicking on all the references. Of course if youâ€™ve been with me for a while, you may remember getting these references when I first published them. Whatever, I will be delighted to hear what you think. 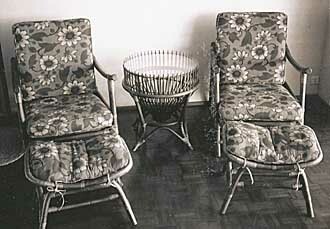 I enjoyed assembling this pair of Ponograms â€“ it was almost like my life was flashing before my eyes! Oh-oh!? This is a shot of the observatory at the summit of Mt. 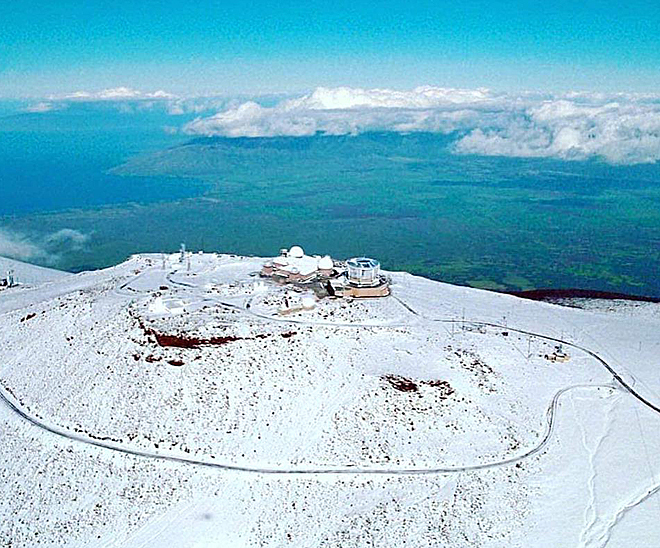 Haleakalā on Maui, taken during the snow of February 2019. Rockwell, followed by Boeing, built the large telescope (structure on right) and integrated it into the complex. While I donâ€™t remember actually sleeping there, I did spend about a day a week testing the computer systems during the period just prior to my retirement.